This workshop is hosted by Ashland Main Street Association, Market Ashland Partnership, and Hanover Economic Development. Hanover County and the Town of Ashland have a presence on the VisitRichmondVA.com website. Learn how to include your tourism-related business and events on this site for FREE! Who should attend: Businesses, entities, venues and events that appeal to tourism such as restaurants, breweries, wineries, specialty retailers, lodging, attractions, museums, historic sites, recreational and outdoor venues/events, art galleries, and performing art venues. How can your small businesses standout? Learn from the experts at Richmond Region Tourism. 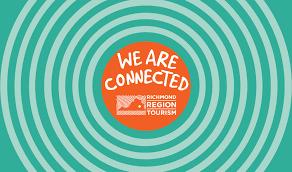 – how to utilize their organization’s FREE resources to get the job done including Richmond Region Connect – a free web portal designed to help you connect your business with travelers, meeting and event planners and Richmond Region Tourism staff. This workshop is free and open to the public. Seating is limited. Please email econdev@hanovervirginia.com or call Angela Wright at (804) 365-6464 to register.